It’s represented in diagrams as a caricature of an actual cloud… this cloud symbol used to represent mystery and network so complex you couldn’t actually draw it. But now the cloud is used to symbolise a way to host systems and data that results in the ‘untethering’ of your business. Cloud computing is the delivery of an IT solution as a service, enabling the end user to access the solution via the Internet. The solution is delivered without requiring users to understand the technology associated with the delivery of the solution, or own/operate/maintain any of the associated IT equipment. Users can utilise as much or as little of the solution as they require at any given time and they only pay for what they use. The electricity grid is a traditional concept that can be used as a parallel to cloud computing. Electricity grid end-users utilise power without having to purchase any of the underlying infrastructure and without needing to understand the infrastructure required to provide the power. Users purchase items (i.e toaster, TV, washing machine etc) that utilise the power and then simply plug them in with no further action required. Users can use as little or as much power as they require and they only pay for what they need during any given period of time. Benefits of having your solution “in the cloud”. 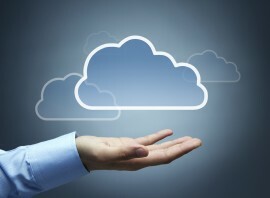 Housing your IT systems and your data in the cloud has numerous benefits. However, these benefits are dependant on your cloud solution provider so as with any other business decision – make sure you deal with a reputable provider with good references! 24/7 access. Access your solution any time you want, any place you want! Using a web browser you can access ALL areas of your solution from anywhere with an Internet connection. Flexibility/Adaptability. As you grow, so does your solution. Quickly add additional sites and manage new business areas at NO COST. Our load balanced and fully redundant cloud architecture scales up and down with demand, all without you having to lift a finger. Better security. Your solution and your data is more secure because it is housed and continually backed up off-site, in a secure and dedicated facility. Security in the cloud is better than other traditional systems because we are able to devote resources to security issues that many of our cloud users wouldn’t be able to afford. Very low setup costs. Costs are kept exceptionally low because there’s no need for you to buy, operate or maintain any expensive IT hardware and systems – we are responsible for supplying you with the underlying infrastructure. Very low ongoing costs. No hidden costs and no costly server software license upgrades – EVER! Furthermore, monthly subscription fees are based on modules and active users so you only pay for what you use – and nothing more. Free upgrades. Regular new feature upgrades are part of the service and are deployed instantaneously without the need for you to do anything. No uploads, no installations, no having to access servers etc. Quick & easy implementation. We do not require installation of IT infrastructure at your workplace or complex changes to your network and we DO NOT risk the security of your information by requiring accesses into your secure areas i.e. firewall. As such implementation is less intrusive, less disruptive – and our experienced team has a 100% success rate in implementing on time and on budget. Account monitoring. You continue to get the most out of the solution by effective monitoring of your account and regular contact from our support team. We will ensure you continue to get the most out of the solution and we are able to provide a variety of value add-ons for your solution. For example our Award Monitoring Service – forget ever having to worry about your industry award requirements as we can monitor your award within your account and make sure it is always kept up to date. 24/7 support. Support for ALL areas of your solution is managed by our experienced team and is included in your monthly fee. You can get support at any time via our 24/7 online knowledge base system. Redundancy. Your solution, although housed in the cloud and accessed by the Internet, does not fully rely on workplace Internet connections to function. Full functionality of your workplace kiosk and shift clocking is available even if your Internet is down. Disaster avoidance. Employee mishaps and premises-based incidents are the biggest reasons for data getting lost or corrupted. Being in the cloud means your solution offers you complete redundancy and off-site backup, so your data is always protected, always available. So there’s no need to worry about losing sensitive data due to misplaced laptops, natural disasters, inconsistent back up systems, hackers etc. Growthwise (an accounting firm) recently suffered devastating flooding of their office space but managed to avoid potential ruin by having all of their IT solutions and data in the cloud. All of their in office IT infrastructure was affected… worst of all of their business, accounting and client documents – locally stored electronic and hardcopy – were all ruined. Read the amazing story of how they were able to continue running the business with no down time at all. Want an easier way to manage your workforce? Want to save time, money and significantly reduce your labour costs? Want to relieve the frustration of staff admin overheads and focus on your core business? Want all of the above… AND have it housed in the cloud? then get your free 30 day easyEMPLOYER trial. No risk, no obligation, just the chance to see it in action in your business.